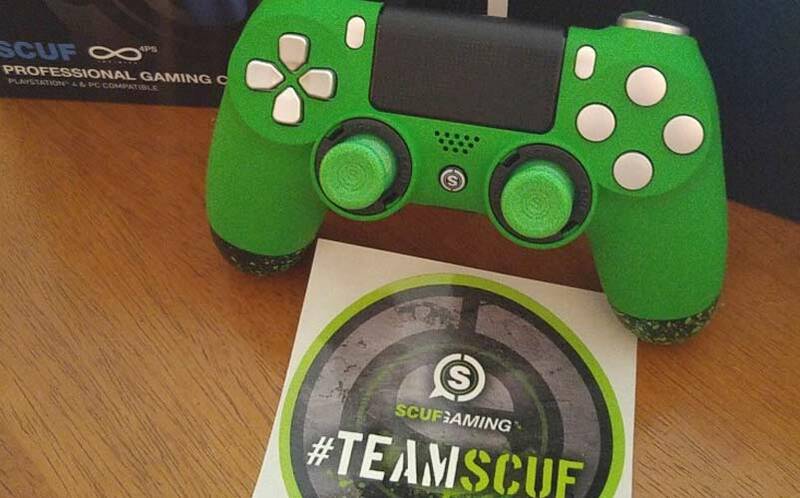 SCUF Infinity 4PS Custom PS4 Controllers | Nerd Much? With the Xbox One having its new line of customizable controllers shipping in September, and the already incredible Xbox One Elite Controller existing, you might think that Microsoft has the controller game on lock right now. Luckily, there’s a third party solution for those who want to customize their own PS4 controllers: the SCUF Gaming Infinity 4PS. 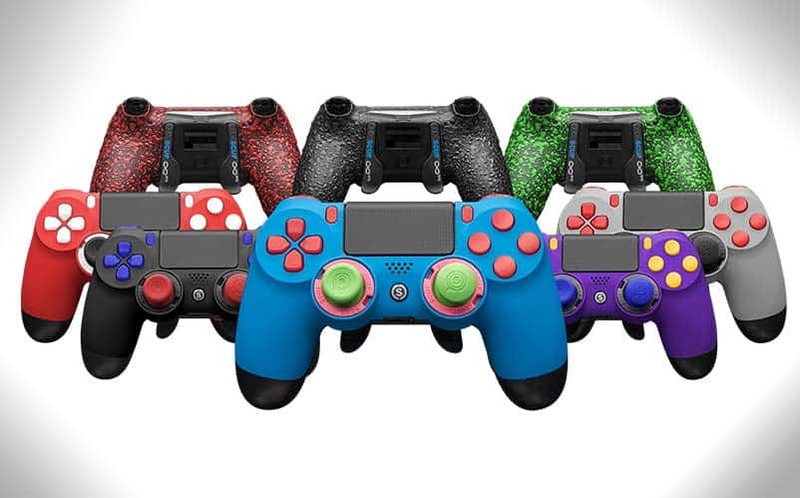 There are a ton of options for customizing your SCUF Infinity 4PS controller, and it’s not just about the colors (although there are a plethora of options in that department as well). The controllers have a modular design, and some of the extra options include trigger extenders, which add noticeable length to your L2 and R2 buttons, Infinity PRO Paddles that can be added to the back of your controller (similar to the ones you’d find on the Xbox One Elite controller), and Military Grade SCUF Grip (which comes in four possible colors). You can also equip interchangeable Thumbsticks (domed or concave, extended or standard length), a D-Pad control disc, and Electro Magnetic remapping that allows for “on the fly” remapping when switching games. What’s more, on the back of your triggers, there’s an adjustable hair trigger mechanism. As far as colors are concerned, there are already an abundance of premade colorways available, each of which you can tweak and customize even further with any of the above options. There are also controllers with graphics available, including colorized zombies, money, various camo designs, and more. Available colors include orange (Fury), yellow (Hornet), anodized gold, pink, purple, and numerous other options. Of course, we prefer Nerd Much green (shown below). So, if you were a little jealous when Microsoft announced their own customizable controllers at this year’s E3, you can now rest easy knowing that you can have one for your PS4 that’s even cooler. The build quality is great as well, and your new Infinity 4PS controller will easily become your go-to controller. It’s quite a formidable upgrade over the standard PlayStation 4 controller (which certainly puts an emphasis on the word “standard”). Meanwhile, the 4PS controller can have all of the bells and whistles, or just bells and no whistles, depending on customization you’re looking for. After reviewing one on our own, the upgrade is well worth it, and we now understand why people marry inanimate objects (and why over 90% of pro gamers use SCUF). If you’re in the market for a serious PS4 controller upgrade, look no further than SCUF Gaming’s Infinity 4PS.